Bellingham knitters now have a bounty of yarn colors and styles. 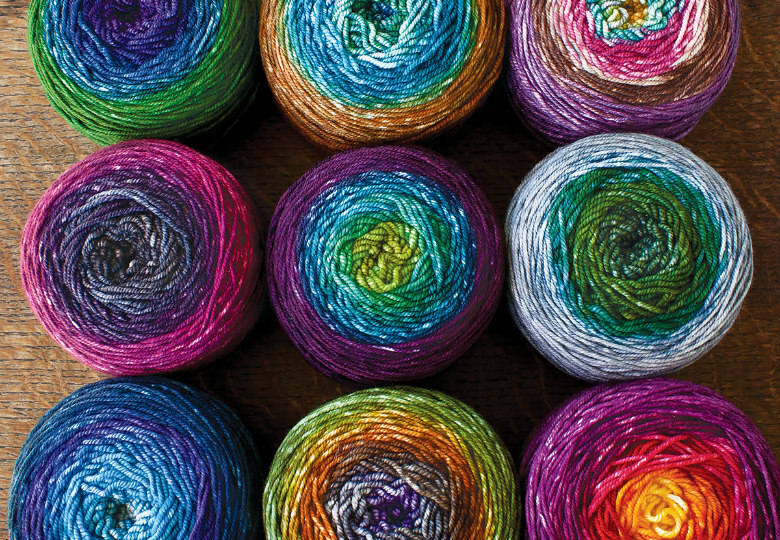 In Bellingham, a burgeoning community of yarn enthusiasts is helping knitters get cozy in style, hand-spinning and hand-dying yarns that stand strands and hues apart from their commercial brethren. Scarlet Tang of Huckleberry Knits (online only, huckleberryknits.com) uses wool from lesser-known sheep breeds, such as Targhee or Bluefaced Leicester, for a yarn that is softer and more lustrous than synthetic versions, and more durable and pill-resistant than traditional merino wool. She dyes her yarns by hand in her small Bellingham studio, yielding vibrant “farm-to-yarn” colors, such as gold-tinged emeralds, rich browns and silvery blues. You can find some of Bellingham’s artisan yarns closer to home in Seattle, at The Tea Cozy Yarn Shop (Ballard, 5816 24th Ave. NW; 206.783.3322; teacozyyarn.com) or Bad Woman Yarn (Wallingford, 1815 N 45th St.; 206.547.5384; badwomanyarn.com). But it’s worth the trip north if you’re also a craft beer fan: Every Sunday you can join a group of local knitters at Bellingham’s Racket Bar and Pinball Lounge (downtown Bellingham, 1220 N State St.; 360.778.1067) for a night of “knitting and drinking,” two of the season’s coziest pleasures.